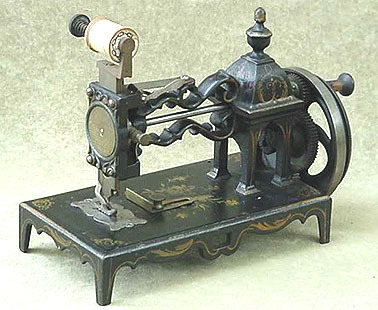 Antique sewing machine - Shaw & Clark "Open Tower". This particular Shaw & Clark model is known as the "Open Tower". It was produced in the early 1860s and pre-dates the similar "closed tower" machine.